Irish entrepreneur Michael FitzGerald still gets calls from investors and potential partner companies in the U.S. who ask him “How’s Dublin?” when making small talk—even though his startup, OnePageCRM, is located a two-hour drive west in the coastal city of Galway. FitzGerald usually doesn’t bother to correct them. “They just presume we’re in Dublin,” he says. Although to be fair, he considers “all of them” to be in San Francisco, even if their offices are actually located in, say, San Ramon, CA, he adds. FitzGerald’s scenario illustrates the global brand that Dublin has built—and shows that startup advocates in Ireland’s other cities have their work cut out for them in trying to get outsiders to take notice. Dublin unquestionably remains Ireland’s economic hub, its most populous metropolitan area, its most well-known city, and the seat of most of its startup activity, especially on the tech side. But even in a country of just under 4.6 million—smaller than the population of Wisconsin—there seems to be room for cities outside of Ireland’s capital to mold their own identities as startup clusters. Xconomy recently visited both cities. We found that Galway indeed has a long way to go before outside observers would put it in the same class as Dublin. But it’s also got a lot going for it when it comes to nurturing a cohesive startup environment, locals say. Galway’s advantages include a solid talent pool flowing from local universities; the presence of several major U.S. tech companies, including IBM, Hewlett-Packard, and Cisco; a small but rising number of home-grown tech startups; a pair of tech meet-up and support groups, Startup Galway and the Information Technology Association of Galway; well-funded university research and commercialization initiatives, like the Insight Centre for Data Analytics that involves multiple Irish universities; and the “quality of life” factor that comes with being a beloved cultural icon nestled on Ireland’s west coast. In some ways, the Dublin-Galway dynamic mirrors relationships between U.S. cities like Milwaukee and Madison in Wisconsin or Denver and Boulder in Colorado (with obvious differences, too). 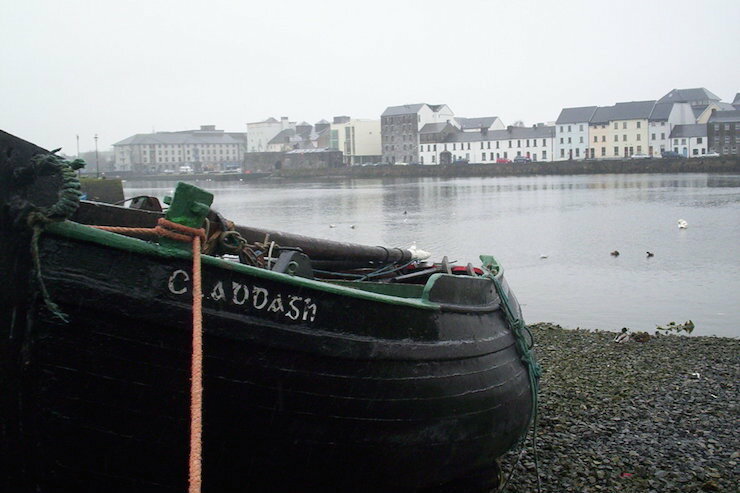 Galway is the small, up-and-coming college town—around 75,000 people, roughly a quarter of them university students—to Dublin’s bustling, more cosmopolitan economic engine. FitzGerald, for one, doesn’t think he loses anything by locating his software company in Galway instead of Dublin. Rather, the bigger question for him in the long run is whether OnePageCRM should be located in Galway or San Francisco, he says. His startup, founded four years ago, has raised about $750,000 in seed capital from Irish angel investors and Silicon Valley-based 500 Startups. He plans to raise a bigger Series A round next year. “Galway is quite a good city,” he adds. Yet Galway wasn’t even on Miles Kane’s radar when he began scouting locations for his U.S. company’s new European headquarters earlier this year. When Beverly, MA-based SmartBear Software settled on Ireland, Kane just assumed the office would end up in Dublin. Great article, Jeff, and thanks for the mention of Altocloud. As you and John Breslin mention later in the article, once a startup starts operating globally, by connecting Galway with Silicon Valley and with other European and Asia Pacific tech centers, then there is typically no need to also “move out” to other cities in Ireland. With a broader global footprint the primary concern for the “Irish centre” becomes talent availability, talent retention and cost/quality of life – which are all areas where Galway “shines” :). Thanks for reading Xconomy, Lawrence. Seems like Galway is making a lot of effort to raise its profile and boost the tech community. I got a chance to hang out at a Startup Galway event while I was there, and there was plenty of energy in the room. It will be interesting to see where things go from here.